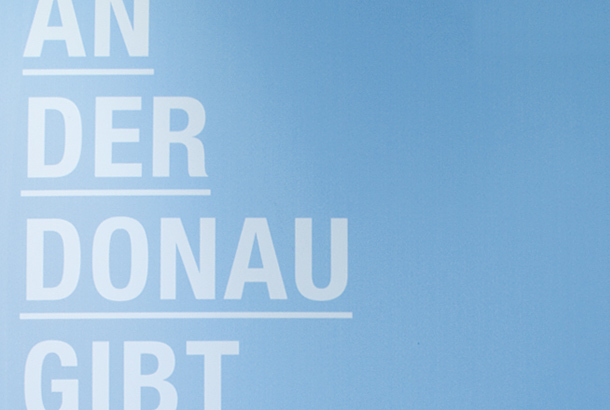 for hafen wien (vienna harbour), i did the graphic design for an exhibition-container, formerly used for sea-shipping. 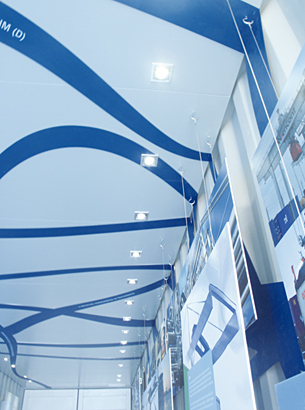 the exhibition presents the danube as economic factor. 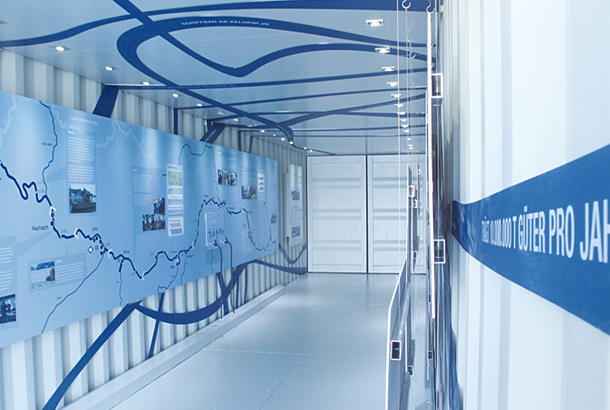 basis for the installation is the danube itself, used as blue ribbons floating and concentrating itself in the presentation area and being the main supporter of information. 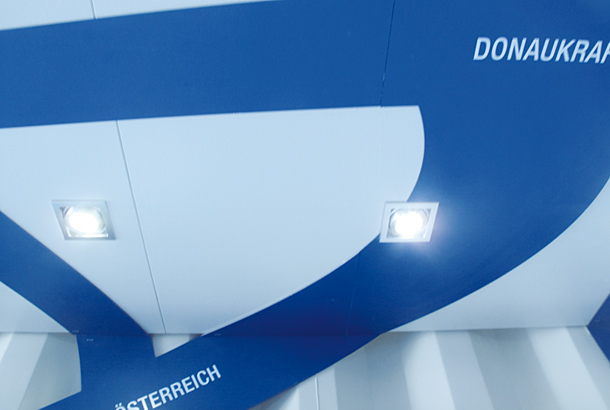 impressions made of the year cycle of the vienna harbour and its versatile interest form the center of the exhibition. 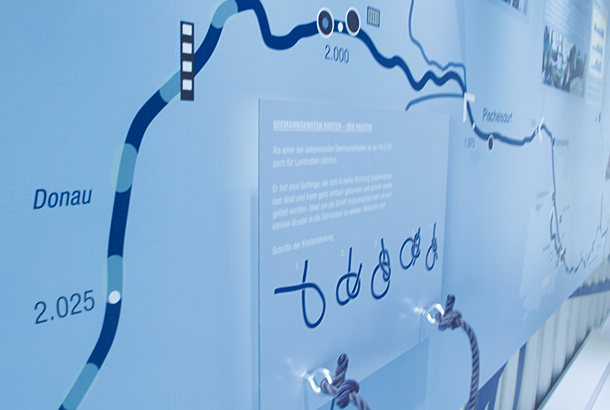 on the other side, the information board on the left depicts and explains different jobs of the via donau, which may be interesting for the pupils.